It goes without saying, In Real Life is the incredible band that manages to surpass everyone’s expectations with all of their brilliant projects – and they just so happen to make our heart melt while doing so! In Real Life, which consists of immensely talented members: Brady Tutton, Chance Perez, Sergio Calderon, Drew Ramos and Michael Conor, were brought together through the competition show, Boy Band, and the rest is history. There is a very special feeling you get when you listen to In Real Life’s songs and it’s a feeling that you can’t get from any other kind of music. In Real Life has been keeping busy with a lot of magnificent projects. They just released their much-anticipated single, “Crazy AF,” that everyone has been going crazy over and has been listening to 24/7. In addition, they have also been letting fans step into their lives even more through their IRL Vlogs. Of course, In Real Life has been continuing to mesmerize everyone with all of their phenomenal performances and each time these guys step foot on stage, it’s always an unforgettable moment. In Real Life is truly one of a kind. Their talents are unrivaled and unstoppable. They have the most charming and charismatic personalities. And, there is no question about it, they truly deserve all of their successes and the many more coming. 2019, and the many years in beyond, promise to be absolutely sensational for a group this exceptional! 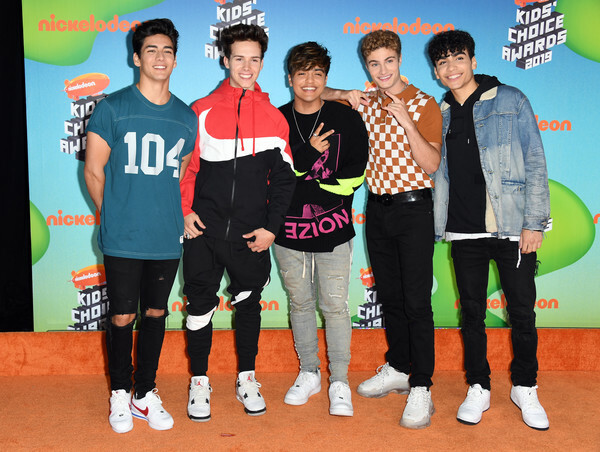 I, Alexisjoyvipaccess had the honor of covering the 2019 Nickelodeon Kids’ Choice Awards and had a terrific time catching up with and interviewing the outstanding In Real Life again at the event. In Real Life dished exclusively to Alexisjoyvipaccess all about what it was like for them being at the KCAs again and if they would have liked to get slimed at the event. In Real Life also talked all about their latest song, “Crazy AF” – hear what they had to say in our VIPAccessEXCLUSIVE updated interview below. Thanks for another awesome interview, In Real Life! Check out my VIPAccessEXCLUSIVE updated interview with the extraordinary In Real Life at the 2019 Nickelodeon Kids’ Choice Awards below! Previous VIPAccessEXCLUSIVE: Max And Harvey Interview With Alexisjoyvipaccess At The 2019 Nickelodeon Kids’ Choice Awards! Next VIPAccessEXCLUSIVE: Asia Monet Ray Interview With Alexisjoyvipaccess At The 2019 Nickelodeon Kids’ Choice Awards!